Are you passionate about providing children with the very best start in life? Our Early Childhood Studies BA (Hons) course seamlessly combines theory with practical experience, so that you can achieve your career goals and make a positive impact on young children’s lives. The well-being of babies and young children is at the heart of this degree, which will prepare you to become a confident and competent advocate for children from birth to 5 years. Studying at our recently extended state-of-the-art £71 million City South Campus, you will have access to excellent facilities to enhance your understanding and knowledge. You will gain a complete understanding of young children’s needs, how they learn, develop and grow and how their early experiences are so fundamentally important. You will also explore wider concepts to support your understanding such as social justice, social mobility and social responsibility. As you progress through the course, you will develop your personal and professional skills so that after university you should be influential in developing practice, provision and policy, as well as resilient and self-assured as you progress in your career. This course should present many rewarding opportunities for you to explore once you have graduated in many different UK institutions, such as schools, nurseries and charities. Our staff are dedicated to preparing you for the world of work and will help you to decide which role you want to pursue after graduating. There will be opportunities for you to work, and learn, alongside a variety of professionals delivering services that support the wellbeing, development and learning needs of babies and young children, with this in mind you will have placement opportunities throughout the programme. A minimum of 4 GCSEs at Grade 4 or above (formerly Grade C), at the point of enrolment. These must include English language and mathematics. If you do not already have the required GCSEs, (or their equivalent) for entry onto this course, and are not registered to take them, visit Equivalency Testing for further information. Access to Higher Education Diploma Pass with minimum 18 Merits/Distinctions at Level 3, also including GCSE English Language and Maths equivalence if not hold separately. BTEC Subsidiary Diploma/ National Award (6-units) Accepted in combination with other level 3 qualifications to achieve a minimum total of 96 UCAS tariff points. Welsh Baccalaureate (core plus options) Accepted in combination with other level 3 qualifications to achieve a minimum total of 96 UCAS points. CACHE Level 3 Extended Diploma for the Children and Young People's Workforce (QCF). Please note: successful candidates will be required to obtain an Enhanced Disclosure and Barring Service (DBS) clearance via the Faculty. If you would like to 'top up' an existing Level 5 qualification we would welcome your application into our Level 6 programme. 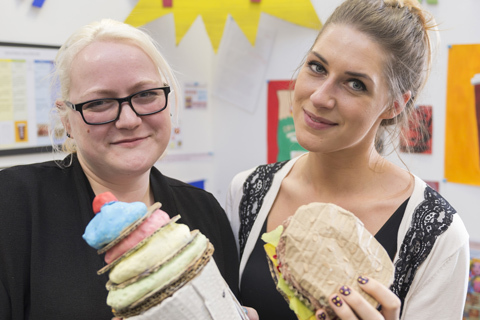 You'll usually need a Foundation Degree or HND in Early Childhood Studies or similar. We require an average mark of 60 per cent or Distinction/Merit profile for entry at Level 6, as well as Level 2 qualifications in English and mathematics. We will also consider applicants at Level 5 entry with a lower grade average, or with a Level 4 qualification such as a Certificate in Higher Education in an appropriate subject (for example Childhood Studies, Early Years Education, Children and Families). Applications at Level 5 or 6 are via UCAS, please ensure you indicate you are applying for entry at Yr 2 or 3. Those intending to apply for the PGCE Early Years or Primary course in the future as a route into teaching will need to have GCSE at grade C or above (or equivalent) in English language, mathematics and a science subject. Included in your course fees are a range of specialist/visiting speakers and all mandatory field trips. This first module will explore the potential career pathways for your programme and the necessary skills, values and attributes to be a successful professional within a range of children services. Using this as the context, you will reflect on and identify your existing skills and identify the skills necessary to be a successful student of Higher Education as part of your journey through to professional employment. In line with the philosophy and aims of the programme, this module encourages you to become confident and reflective practitioners and to recognise the significance of how children develop as a vital part of understanding early childhood. This module will also support you to develop your understanding of domains of development, by this we means children’s physical, cognitive, personal and social development. You will also explore what different theorists have contributed to our understanding of how babies and young children develop. This module links with ‘Observing and Assessing Babies and Young Children’ that you will study later in the year. This is a core module that all student on the programme will study, we think this is important as it is about what we understand by the concept child and childhood. We have to understand this in terms of our own understanding and society’s understanding if we are to make sense of what it means to study Early Childhood as an academic subject. In line with the philosophy and aims of the programme, this module encourages you to become confident and reflective practitioners and to recognise the value of observation and assessment in the context of childhood. This module will also support you to develop your understanding of how observation can be used to document the child’s learning journey and support planning for future development. In line with the philosophy and aims of the programme, this module encourages you to become confident and reflective practitioners and to recognise the value of working with families and children within an early years context. It is intended that this module will also support you to develop their intellectual capabilities by encouraging you to engage in identifying, reviewing and discussing contemporary issues and debates in working with children and families, policy and practice. This module explores the terms Diversity and Inclusion. It will examine our human rights and investigate whether these are universal. It will look at the rights movements in Britain and America and look at how these movements have influenced early childhood thinking. Definitions of social justice will be offered along with various views of how social justice could be achieved. An examination of the term ‘Diversity’ will be offered along with suggestions of what a diverse society may look like. This module builds on the skills and knowledge introduced at Level 4, making connections with child development, assessment and observation to develop your understanding of the central importance of play in young children’s development and learning. The module is designed to support and extend your professional reflection so that you are able to articulate you own philosophy of learning in early childhood and promote the inclusion of play provision in all settings. This module will explore safeguarding and child protection including the necessary skills, values and attributes to be a successful professional working with a range of children’s services. You will build on your previous learning by focusing on the roles and responsibilities of professionals in a safeguarding context. This will include key legislation, policy and evaluate processes that exist to support children who have or are likely to suffer significant harm. You will consider discrimination, which affects individual children, young people and families. In line with the philosophy and aims of the programme, this Level 5 module encourages and supports you to become a confident and reflective researcher and to recognise the value of conducting research within relevant children’s services. You will be given the opportunity to explore and experience what it feels like to work within small research cluster groups. During this process, the module will support you to engage in a critical analysis of contemporary issues and debates in research, policy and practice related to your field of study. You will work collaboratively to identify and then design a small scale study to explore one of these issues. This Level 5 module will support you to become knowledgeable and reflective practitioners on issues around children’s health at both national and international level. It includes principles and practices of effective health promotion for children 0-7 years of age in line with national and international research and development on the factors that contribute to the health and well- being of children. The Healthy Child will be explored within a holistic framework to include the impact of families, immunisation, attachment, poverty and growth and nutrition. You will learn how to recognise and understand the contributing factors to healthy child development. You will learn the importance of resilience in the development of good mental health. This optional module will explore children’s voice and rights and the necessary skills, values and attributes to be a successful professional with a range of children’s services. Using this as the context you will reflect on and identify aspects of children’s rights and the value of their voice, as an individual and within an early years setting. This optional module encourages you to examine you own personal perspectives regarding the definition of creativity and the role of the professional in fostering curiosity, imagination and creative experiences for the young child. Creativity is ‘the word of the moment’ in education and it is considered to be at the heart of educated people’s lives. There are significant differences between creativity and creative development and the module aims to explore these as well as provide students with opportunities for theoretical and practical knowledge and skills. You will explore aspects of creativity with reference to Early Years settings. You will experience activities relevant to each aspect of the QCA definition of creativity and will explore the possibilities of how ideas can be used in developing both your own and children’s creativity in the Early Years environment. You will reflect upon creative activities explored with young children. In line with the philosophy and aims of the programme, this Level 6 module enables and supports you, as a member of the early childhood research community, to conduct a piece of small scale individual research that attends and adheres to key ethical principles. This module encourages you to engage in independent as well as collaborative critical analysis of contemporary issues and debates in early childhood research, policy and practice. You will be provided with an opportunity to clarify your understanding of key research terms, as well as to consider the link between epistemology, methodology and methods and the impact that your own personal philosophies have upon the design of your study. In line with the philosophy and aims of the programme, this module encourages you to become confident in your leadership and management knowledge, which allows you to review, consolidate, extend and apply this knowledge within the Early Years’ context, at a graduate level. It is intended that this module will support you to develop your intellectual capabilities by encouraging you to engage in identifying, reviewing and discussing leadership and management issues. This module is designed to provide you with an understanding of key leadership and management strategies within early year’s settings and teams. The module is also designed to support you to consider the connections between services, teams and service users. You will also explore the different ways in which leadership and management impacts on quality and outcomes. In line with the philosophy and aims of the programme, this module will respond to contemporary perspectives and issues affecting children, young people, families and communities. A strong commitment to inclusive values will be reinforced and will empower you to address issues of equality, disadvantage, diversity and social justice to optimise the life chances of children, young people and their families. In line with the learning, teaching and assessment strategy, the module will be interactive, engaging and challenging; designed to promote your independence and confidence to enable you to be an advocate for children, young people and families and an agent for change. The module is highly responsive to changes and developments, and will provide you with an in depth understanding of how issues may impact your work in your chosen field. This Level 6 module will further explore the potential career pathways and enable you to manage the next steps in your career. As you prepare to finish your programme it will enable you to practice and develop key skills necessary as you seek employment or post graduate study. You will have the opportunity to identify, reflect on and develop a range of effective professional skills, practicing them through work based real life projects such as applying for jobs, interviewing, recruitment and selection processes. Using services for children and families as the context you will meet with a range of key stakeholders including recruitment companies, careers services, post graduate programme leaders and leaders and managers in services that work with and for children and their families. You will examine the background to current provision for early childhood education and care across the UK and internationally in order to provide a context for early years’ education. You will explore the historical context of a range of early years’ educational approaches. Emphasis will be placed on the holistic nature of early learning based on the promotion of children's first-hand experience and the provision of a rich environment. You will examine international perspectives alongside different curricula approaches and comparisons made between alternative approaches to learning. Similarities and differences will be analysed through key issues including the learning environment, ‘sustained shared thinking’, and creativity and inclusion. This Level 6 module will encourage you to look beyond the familiar constructs of ‘childhood’ that you may have already encountered and instead it will support you to confidently examine the past and present contexts, challenges and possibilities of global and future childhoods. In doing so, you will consider a number of exciting and thought-provoking debates, including the moral debate surrounding child labour and child soldiers, future reproductive technologies and the ethical implications of ‘designing’ children, as well as the use of social media in childhood. This module will also enable you to develop a sense of your own personal philosophy in relation to these topics as well as to consider and debate the ethical implications of global issues surrounding childhood across the world. This module will engage you in an exploration of issues of access for children and families in diverse social and educational contexts from both the UK and international perspectives. It explores the development of approaches and pedagogies for inclusive learning environments, which take account of diversity. It supports you in engaging with differing perspectives on equality, participation and inclusion, and in developing your own perspectives. You will address the dimensions of social exclusion, SEN, disability, disaffection, behaviour and learning difficulty in the context of wider diversity across a breadth of childhood and youth themes. On the BA Hons Early Childhood Studies programme you will experience a wide variety of learning and teaching approaches that are designed to develop your confidence, knowledge and skills as you progress through the programme. We will support you as you make the transition to university through carefully planned induction processes. This will include social and group work activities, confidence building activities and a scaffolded approach so you can understand the thinking behind how your modules and assessments are planned. 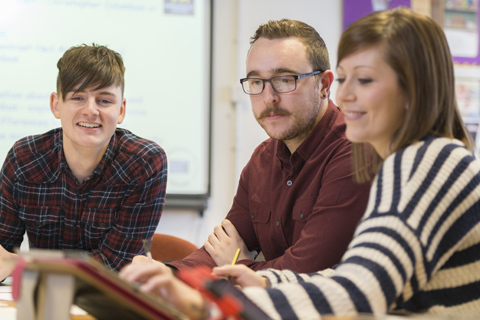 Managing your transition to Higher Education is more than just a week of activities so we have generated a core module that goes through the whole of the first year to support your developing personal, professional and academic skills. Some modules are shared with students on other programmes in the department. For example when thinking about safeguarding and child protection there are common themes and common professional skills required, regardless of the age range you are focussing on. This is one modules that would be shared with students studying Working with Children, Young People and Families. We believe that whilst it is good to have a focus on your particular field of study, sometimes your learning experience can be enhanced by working with others who are exploring different, but similar contexts. For this reason there are 40 credits of shared modules between your BA Hons Early Childhood Studies and the BA Hons Working with Children, Young People and Families in each year. Placement is an integral part of the programme, there will be chances in your first year to explore and find out information about a range of Early Childhood settings and to visit and shadow professionals working there – this is so you can not only develop professional skills but can also find out about the wide range of professional careers open to you within the field. It also about developing transferable skills so that after you have completed your degree you already have a strong CV that makes you really employable. These experiences are an integral part of the module ‘Working as a Professional’. Later in the first year you will have a block period of time in an Early Childhood setting so you can develop your observation skills and experience how an early years curriculum is planned, delivered and assessed. In the second year of the programme you will again have a period of placement to build on your previous skills about how babies and young children develop and learn. We link into our Graduate+ scheme throughout the programme; you will be able to get credit from positive placement outcomes that will contribute to the Graduate+ award scheme. Some modules relate specifically to placement and in order to complete the assignments set you will need to take a proactive approach to placements and actively engage with the work based learning aspect of the programme. This will be the case for ‘Observing and Assessing Babies and Young Children’, completed in your first year. Actively engaging with placement and successful completion of a second year module ‘Reflecting on Play, Learning and Pedagogy’ will also help you to meet the criteria for Early Years Educator. This is the level 3 qualification that means you can be employed in an Early Years Setting as a qualified member of staff. In the third year there is no scheduled placement, although depending on the topic you choose to examine as part of ‘Researching Professional Practice in Early Childhood’, you may choose to conduct your enquiry in an early years setting. We aim to plan for visits to settings and services to support your learning and development. These vary from year to year but may include museum and art galleries, nurseries and early years settings. 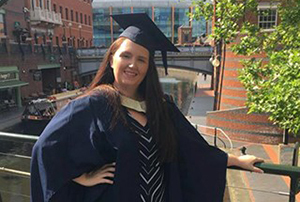 Mary Turner explains to us why chose to study at Birmingham City University, and how studying Early Childhood studies gave her the confidence to succeed in a career in childcare. I had studied BA (Hons) Early Childhood Education Studies at Birmingham City University prior to doing my PGCE so knew I was in good hands. The course has contributed hugely to me fulfilling my ambitions to become a teacher. The assessment strategies used were most appropriate for me personally as the course was assessed through both lecture and experience based work. There are a range of post graduate programmes available across the school, faculty and university. Our graduates often go on to study education, social work and health courses at post graduate level. I spent my first placement in a children’s playgroup and nursery, a setting I had not experienced before. I found this so beneficial to my understanding of the course and it was also a practical tool to relating, and putting into practice, the skills we had learned. Birmingham itself is a multicultural city with people from a range of social and economic backgrounds, which I find is extremely beneficial to my learning as I am able to experience different school settings and aid the learning of children from different backgrounds. Successful completion of the programme, including the level 5 module ‘Reflecting on Play, Learning and Pedagogy’ and the linked placement, will enable you to meet the criteria for Early Years Educator (EYE). The Programme as a whole is matched to QAA Benchmarks Statements for Early Childhood Studies, this together with the required GCSE in English and Maths (already a requirement for entry the programme) meets the criteria for Early Years Educator as determined by DfE. A BCU Graduate is professional and work-ready, a creative problem solver, enterprising and has a global outlook. This expectation is realised through the BA Hons Working with Children, Young People and Families programme which provides you with the skills and knowledge to meet the needs of vulnerable children, young people and their families. Transferrable skills are considered very highly throughout the programme should you decide not to work directly with children and young people in the future. We have embraced the Gradate+ scheme and there are opportunities throughout the programme for you to receive credit for developing your employability skills. We have a commitment to learning for life and actively encourage you to develop your own research skills and to pursue your learning journey by building on your first degree to Masters level and beyond. From induction through to your final module your tutor team will support you in exploring career pathways linked to vulnerable children, young people and their families. Working closely with local services will enable you to network and find out what it is like to work in the field. 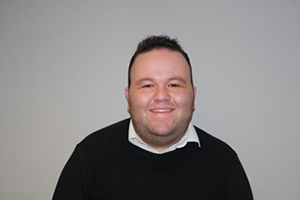 Adam Nickels talks about the variety of roles he could go into with the modules on offer on the BA (Hons) Early Childhood Studies course. Claire Fitzgerald secured a job at Busy Bees Training Academy which delivers bespoke training to early years staff. Placement is an integral part of the programme, there will be chances in your first year to explore and find out information about a range of Early Childhood settings and to visit and shadow professionals working there – this is so you can not only develop professional skills but can also find out about the wide range of professional careers open to you within the field. These experiences are an integral part of the module ‘Working as a Professional’. Later in the first year you will have a block period of time in an Early Childhood setting so you can develop your observation skills and experience how an early years curriculum is planned, delivered and assessed, This will be part of the module ‘Observing and Assessing Babies and Young Children’. Actively engaging with placement and successful completion of a second year module ‘Reflecting on Play, Learning and Pedagogy’ will also help you to meet the criteria for Early Years Educator. This is the level 3 qualification that means you can be employed in an Early Years Setting as a qualified member of staff. Many of our students go on to study postgraduate courses, often staying with us for another year. Those that don’t move onto leadership and management roles within the Early Childhood sector, often after short period developing their practical skills. As graduates with a range of transferable skills others move in to areas such as human resources, project management and community based projects. As part of these plans, the University's Education provision will join the rest of the Faculty of Health, Education and Life Sciences at our City South Campus in Edgbaston during 2018. All our departmental facilities replicate the school learning environment. Not only are we investing £41 million in a new building to house the laboratories and teaching spaces needed, but we also plan to open up these facilities to benefit all students and the wider community. This will complement our existing sports facilities, which already provide a base for students to compete in activities ranging from rugby to. Having spent 10 years teaching in a variety of primary and infant schools in Birmingham, Rosemarie had the opportunity to develop a service within the local authority of a team of early years specialist whose role was to support and develop early years practice and provision across the maintained and non-maintained sector. This move into an advisory role, training and development combined interests in adult learners and a passion and commitment to high quality effective early years provision. Moving to Higher Education seemed a natural progress and she spent some time teaching and developing Early Childhood courses at Newman University College before joining Birmingham City University in 2008. The rights of children and the need to work in partnership with parents remain a core value in Rosemarie's teaching and research interests, which is reflected in her current studies and recent evaluation projects for local authorities.